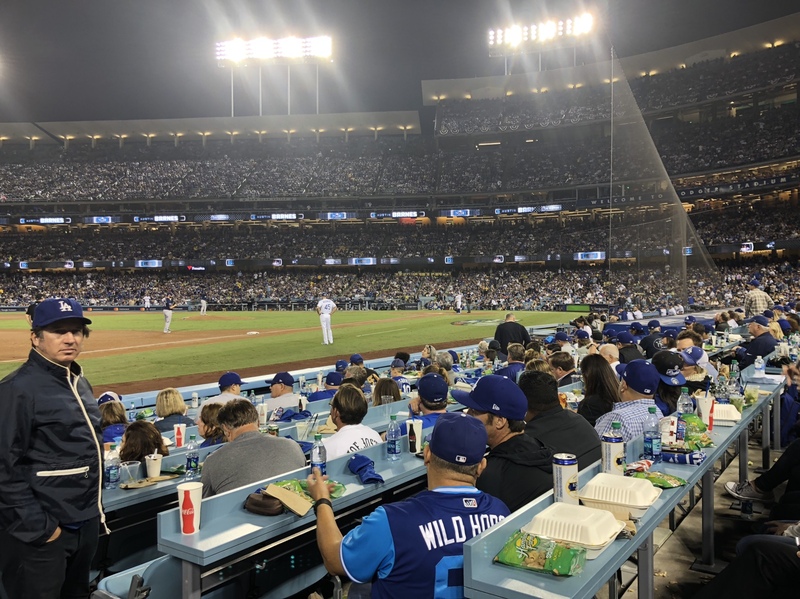 Thread: Think Blue - Go Dodgers! For Hot Lunch and concerned: Just in time for a Christmas hint to your wives and kids. Until opening day, I am still a life long Cubs fan. And he did it against the Western Bay Area Franchise. Dodgers ad Yu Darvish today. Woof. Walk-off homer! I’m telling you, the Boys in Blue are on their way!! Last edited by LA Ute; 10-15-2017 at 11:22 PM. A former Ute player is in the Dodgers organization. Lucky kid. The surge is under way. Typical Giants fan condones cheating. So is that a little sushi and tofu in the styrofoam container? Quite a game you're watching. What a catch in right in the 10th. Bellinger is the best athlete on the team. Have the TV commentators said how many strikeouts each team has? Must be a lot. Dodgers batters have been behind in the pitch count all game long. Dodger Dogs are everywhere, Yankees fanboy. Through 12, Dodger pitchers have 14, Brewers have 17. Dodgers players celebrating in the outfield. I think Plaschke is right.